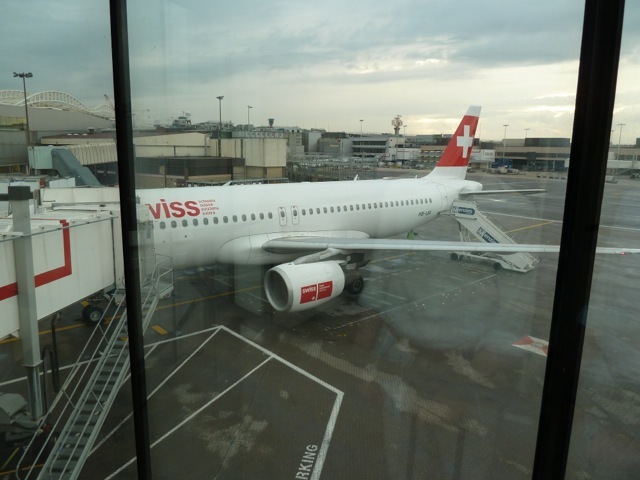 My journey begins, as usual, on the train from Basel to Zürich Airport on the ‘Flugzug’, the airport train. This train does not go via Zürich main station, going instead straight to Zürich Airport. 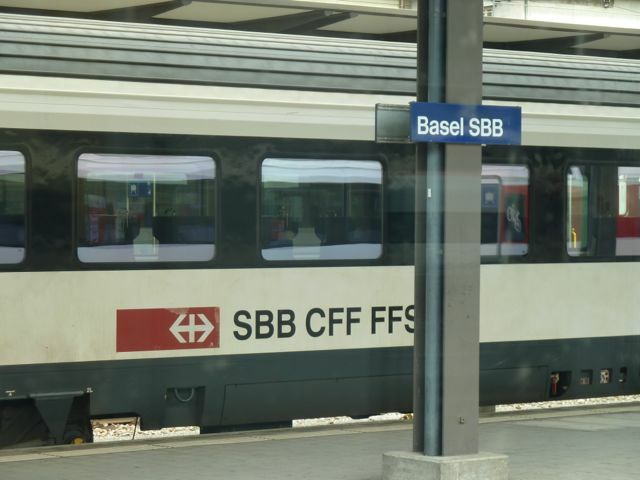 All of the direct trains between Zürich Airport and Basel have an LX flight number and can be booked on the airlines’ website as a feeder in connection with a flight to or from Zürich. In theory, when you book the air train on SWISS.COM, you’re booking a particular train. In practice however, the Swiss Federal Railways are very lenient and in fact you can take any train on the date of travel. 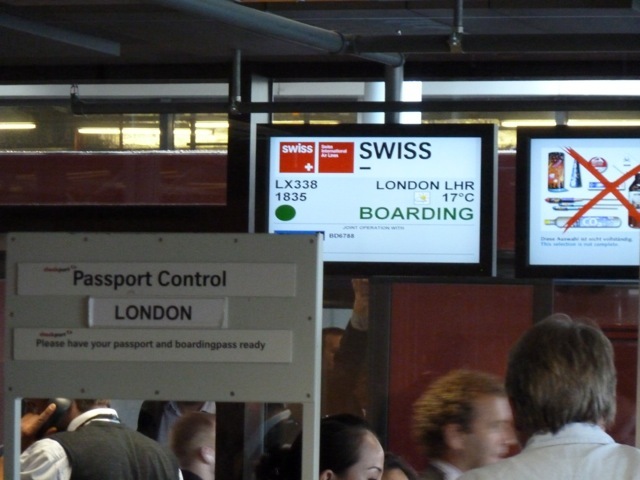 You may even take a train that goes via the main station in Zürich. 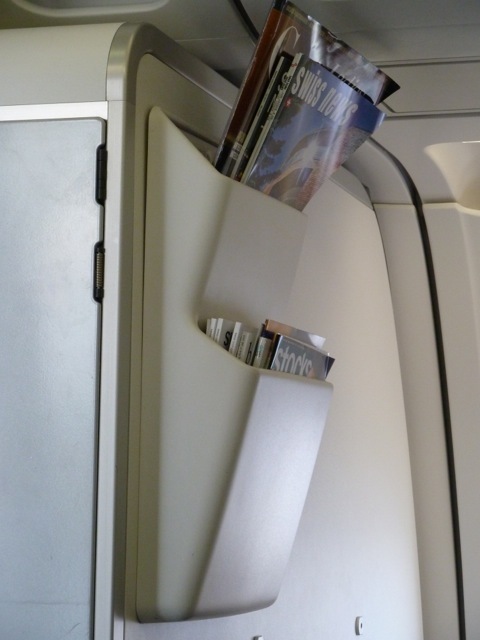 My pet peeve with the Flugzug is the duration of the journey. The distance between Basel and Zürich is merely 80kms. The direct nonstop trains to the main station usually make the journey in 49 minutes. The Flugzug however, takes 1hour and 16 minutes to make the journey. For one because it takes another route that is shorter but has speed restrictions, for another because it stops no less than seven times en route. But let us now move on the trip review proper: as we pull out of Basel’s main, Swiss railway station the weather is still more or less fine. We haven’t really had much of a summer in Switzerland so far. After a promising start to summer, July was rather unsettled and also unusually cool and with lots of rain. 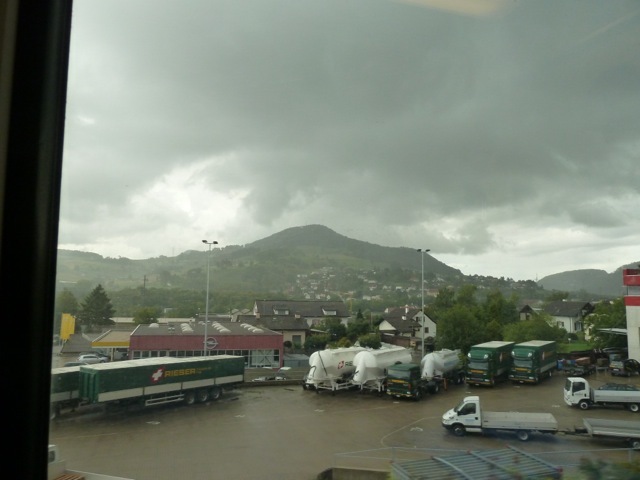 Within just a few minutes the weather situation starts to deteriorate, and by the time the train reaches Frick, the second of the seven stops between Basel and Zürich Airport, it is raining heavily. Alas, the situation does not improve any until I reach the airport. 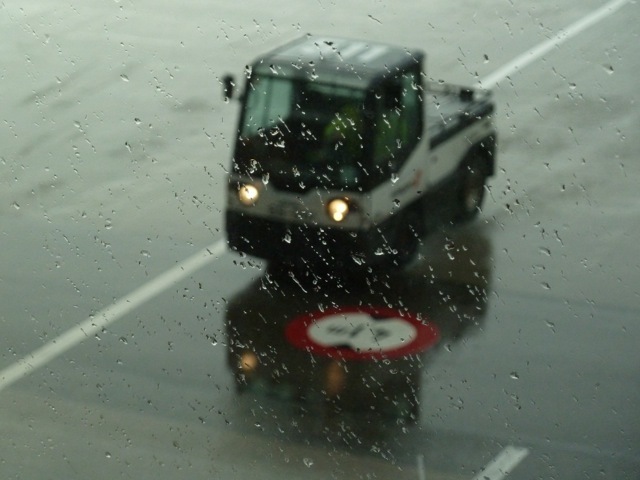 It is only a short while before boarding that the rain stops. I’ve checked in online, so once I arrived the plan is to go airside immediately. On my way to the Senator lounge I spot the daily Air Malta flight to Malta. 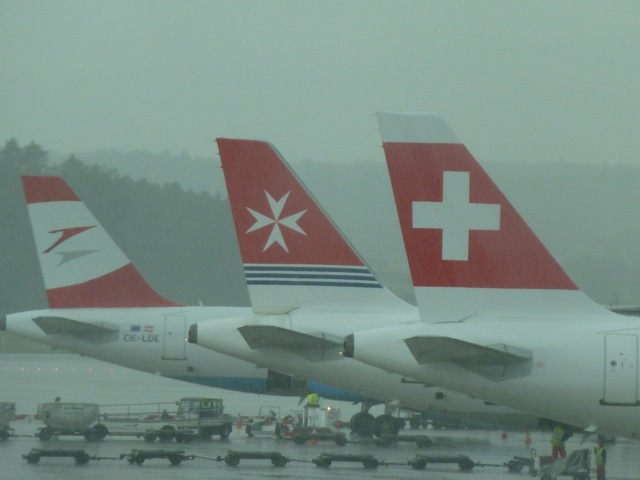 Yearning for the warmer climes the aircraft is heading for and overcome by a sudden bout of patriotism, I decide to sacrifice the comfort of the lounge to watch the Air Malta flight push back. 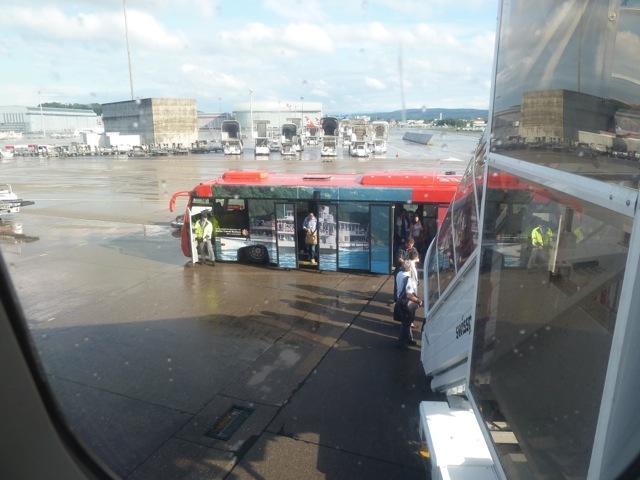 As it happens though, the flight appears to have some slot issue and although it shows as departed, it is still parked at the gate at the time boarding for my flight to Heathrow starts. My flight left from a bus gate in the non-Schengen area in Terminal B. 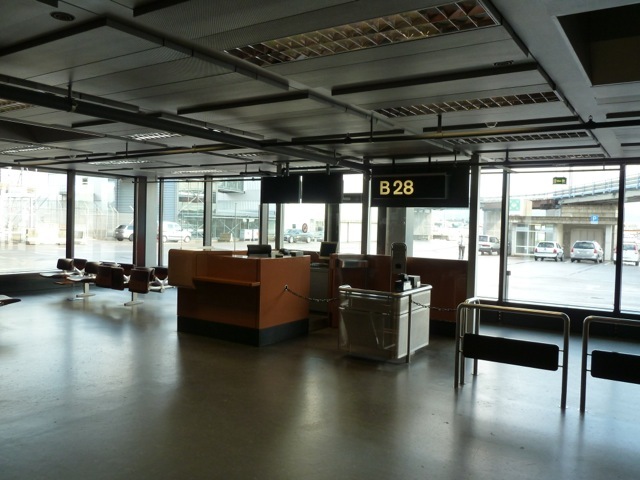 This part of the terminal complex has since closed down. Fortunately it’s stopped raining and the sun is trying to make a come back by the time our bus reaches the aircraft. There is a bit of a hold up for departure. Some woman is travelling with her cello, for which she apparently had made a correct booking for an extra seat to have the delicate instrument transported in the cabin with her. 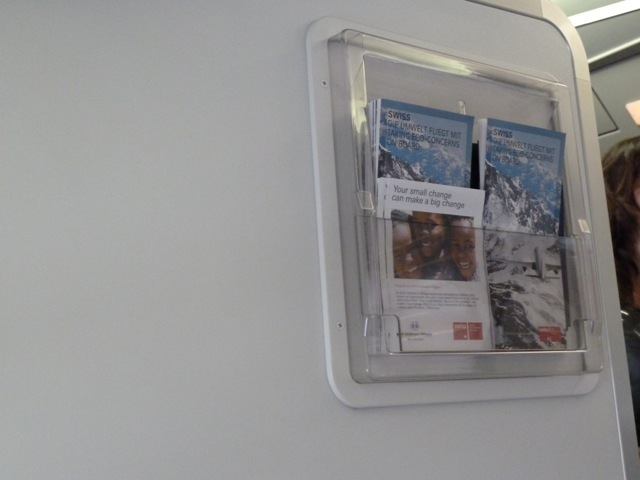 But nobody on the aircraft or from Swissport knows about the cello. There’s a bit of a commotion and a substantial delay as the ground crew attempt, and finally manage, to secure the cello in the cabin. What I find particularly funny though, is that while all this is going on, the captain suddenly comes on the PA and makes an announcement that there will be a delay due to a passenger ‘and her cello which we did not know about’. The poor woman looks as though she wants to go through the floor with embarrassment. The cabin is clean and tidy. 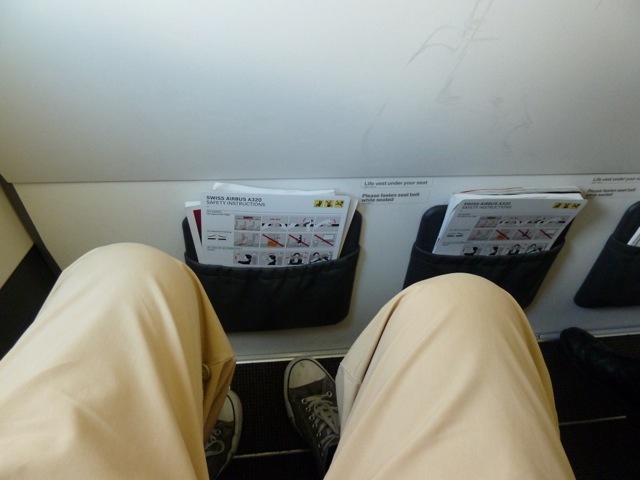 Of course sitting on the bulkhead row the leg room is also very good. Service begins on the ground with the distribution of small bottles of mineral water and prepacked cold refreshing towels. I don’t much like the ones Swiss uses, mainly because they’re so heavily scented they tend to give you a headache. 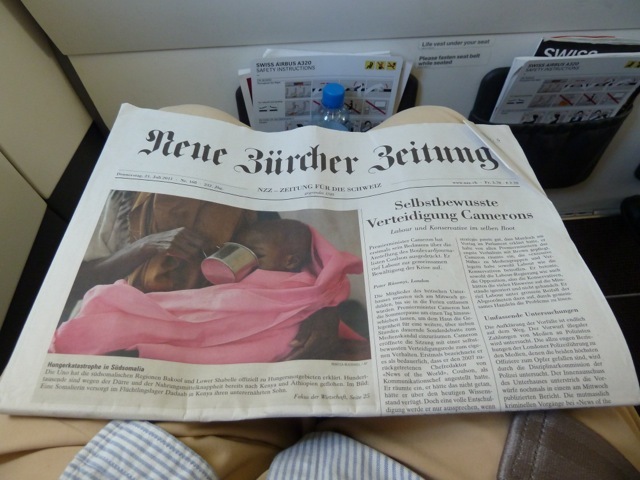 There is a large selection of newspapers and I choose the Neu Zürcher Zeitung. 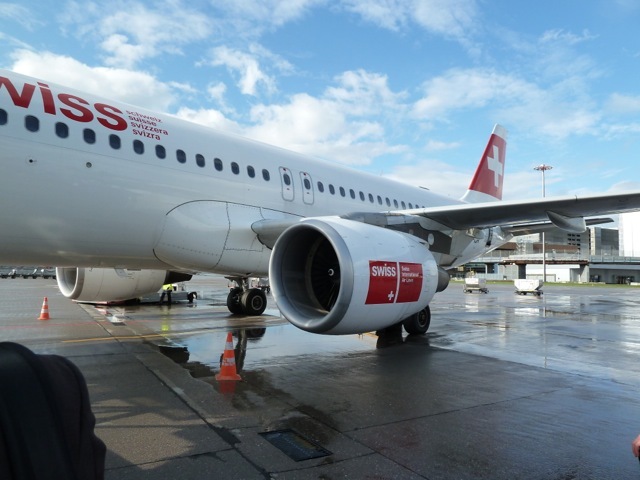 Take-off is from runway 28, which is the main departing runway at Zürich. 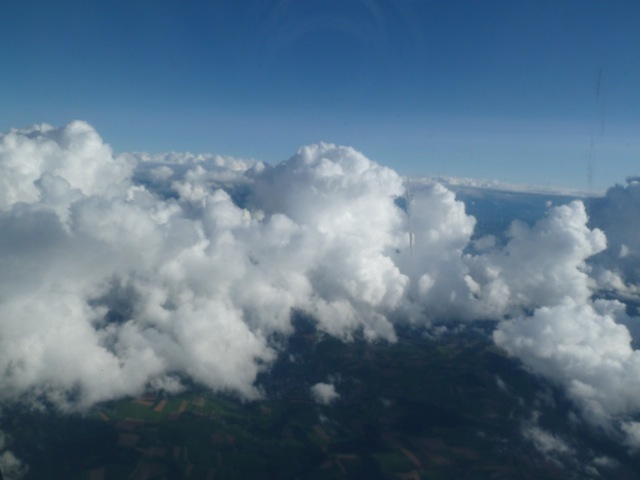 A short while after we’re airborne, we’re already above the clouds. The service on this flight is nothing to write home about, really not. 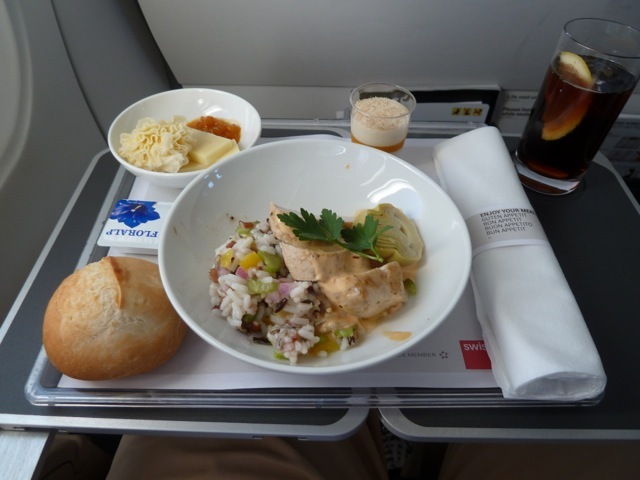 But at least the meal offered on this short sector is quite good. 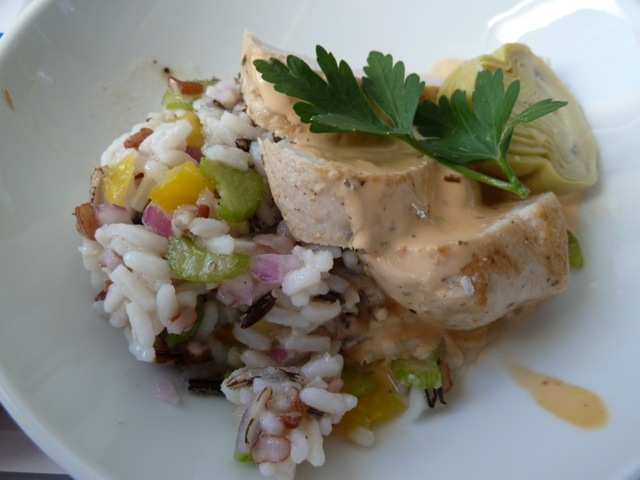 It consists of a chicken breast on rice salad with grilled artichokes. The meal is served with lovely crisp, warm bread and cheese and a dessert. 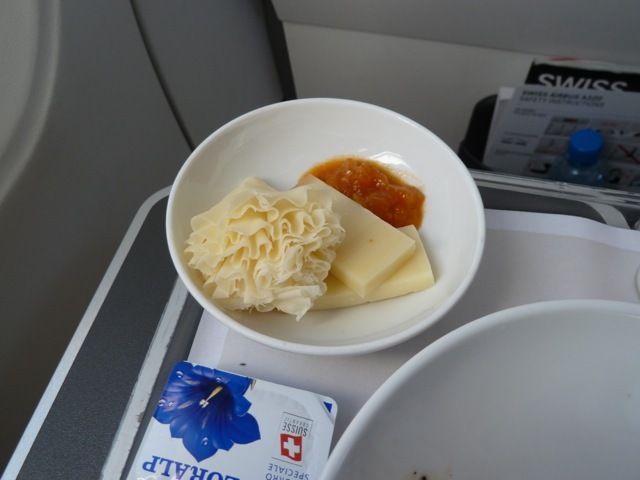 Generally though, I find desserts are rarely any good in Swiss European Business Class and usually consist of something bland and overly sweet made with loads of gelatine. So I give this one a miss – as I usually do. 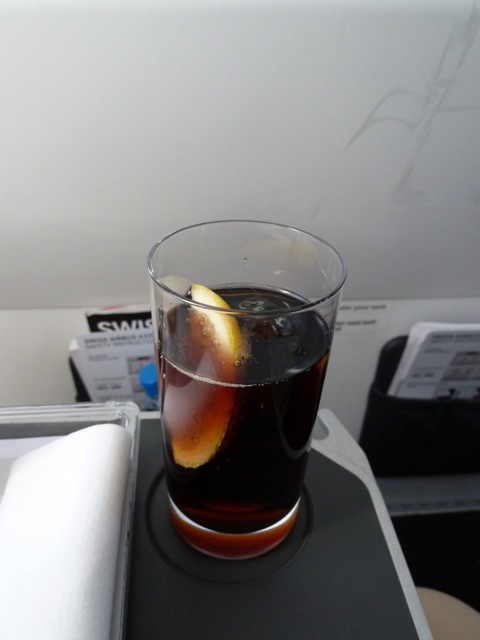 To drink I have a Diet Coke with lemon. 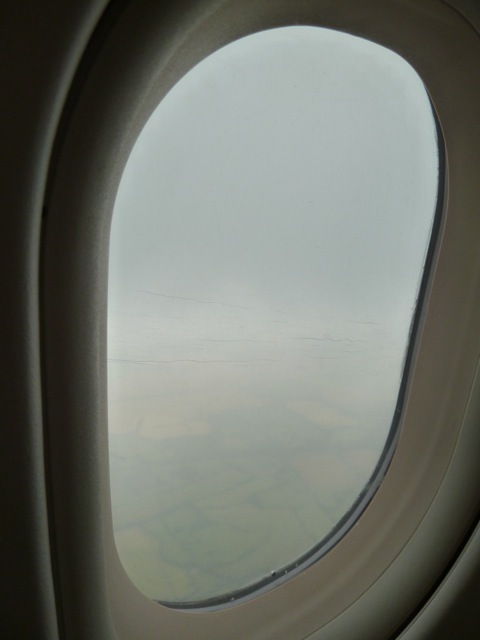 Very soon we start our descent into Heathrow, where the weather is even worse than in Zürich. We are coming in on runway 9L but unfortunately I remember only at the last moment that this means we’ll be flying straight over Windsor Castle. 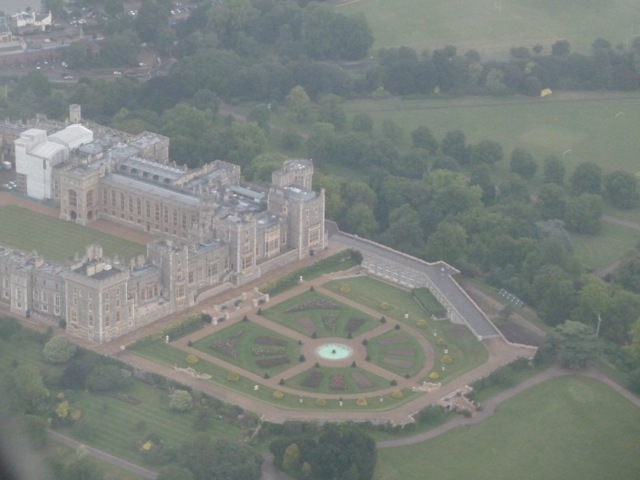 Hence the somewhat botched picture of the estate. 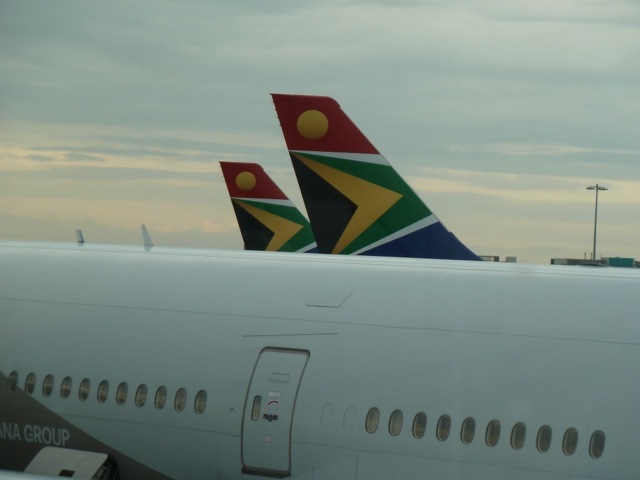 After we land there is a further delay because our gate is still being occupied by a South African Airways A 340. 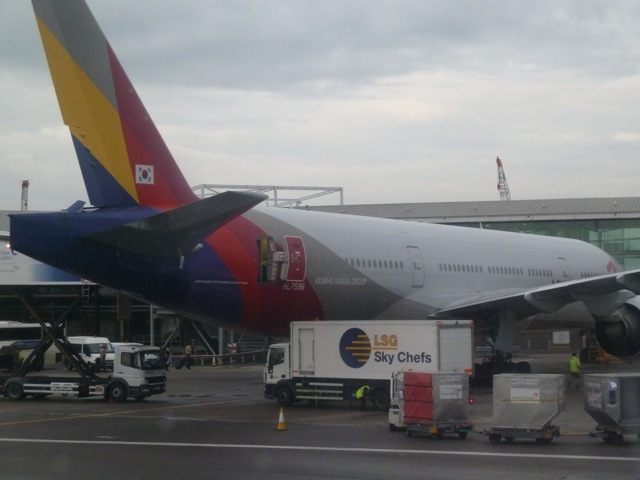 After about 20 minutes the aircraft finally moves off stand and we are able to make our way to the gate. I’ll be spending the night at the Sofitel in Terminal 5, which means taking the Heathrow Express to get there from Terminal 1, which is home to most of the Star Alliance carriers in Heathrow. The Heathrow Express is free of charge for passengers only transferring between Terminals 1, 3, 4 and 5. 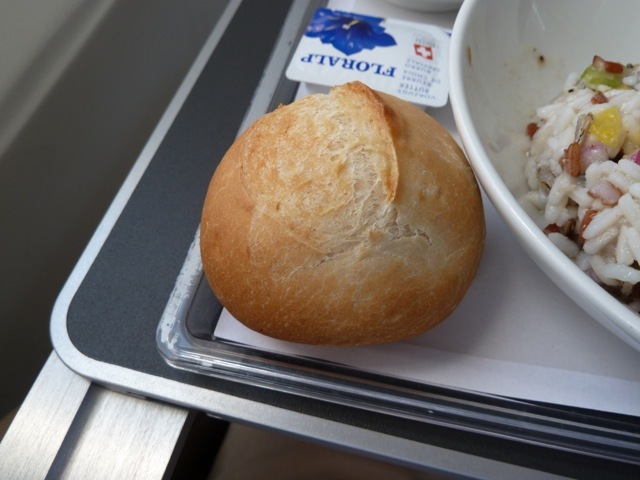 Swiss offered a pretty standard service on this flight. They weren’t bad at all, they just weren’t overly good either. I’m no fan of the Recaro slimline seats they have on their European fleet, the seats are somewhat hard on the backside after a while. Still, at least the food was good! 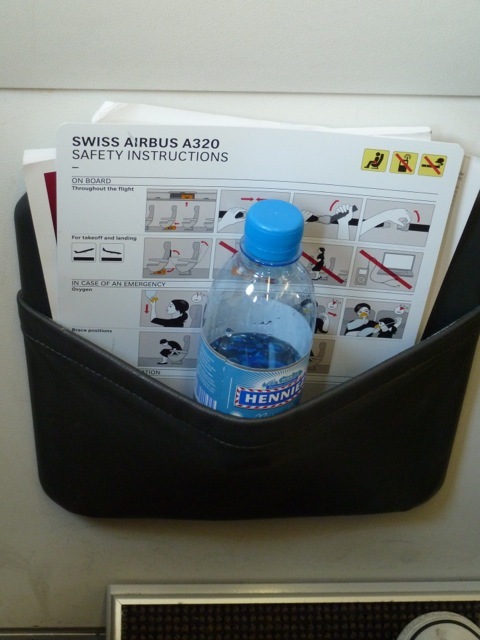 This entry was posted in Airbus A 320, Business Class, Swiss International Air Lines and tagged airlines, aviation, business class seat, flying, swiss federal railways, swiss international air lines, swiss railway, transportation, travel, vacation, zurich airport. Bookmark the permalink. Thank you! Glad you like the pictures. Thanks for the trip report! I’ll be flying three sectors (Also in C) with LX tomorrow, and this is a good indication of what to expect! Thanks for your comments, glad you enjoyed the report. I hope your flights with LX were good.